What makes the queen bees of the Texas country power quartet The Trishas so special is that if you separate the four ladies out individually, they all still have enough magnanimous sway to amass an impressive listening audience by themselves, and songwriter Jamie Lin Wilson is a perfect example of that. Remaining restless and hungry through a hiatus in The Trishas, Wilson is set to release a new album Holidays & Wedding Rings on May 19th. 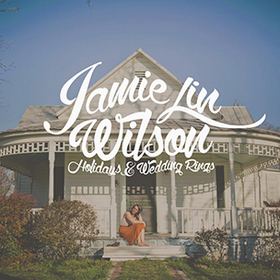 Five of the other compositions on Holidays & Wedding Rings were written by Jamie Lin herself, speaking to the personal nature of the new record. It follows her 2010 EP Dirty Blonde Hair and the Trishas’ 2012 release High, Wide & Handsome. The new album is produced by John Ross Silva and Kevin Szymanski, and was recorded at 12th Street Sound in Austin. I contributed to her Pledge Music campaign so have already received a digital copy of the album. The Wade Bowen duet on Just Some Things is fantastic. I highly recommend the album. She’s a special one. Ive Liked this gal a lot for a couple years now. That voice! 10 seconds in I would have bet that was a Bruce Robison song. Has a little “Travelin’ Soldier” vibe. Big fan here! Love her voice and she is just the sweetest in person too. Very happy for her and hope the album is a huge success! Thanks for the preview and review! Love her voice…. I hadn’t paid much attention to the Trishas. Will have to remedy that. Also, I realize Wilson is a common name, but any relation to Larry Jon? Been a big fan of the Trishas for quite some time and I’m not one to get into girl bands. What a great group of songwriters on this album. Its so refreshing to hear such great music coming out album after album this year. Thanks Trig for posting this. Goodness, this is a beautiful song. Lyrics that tell a realistic story with deep emotions, melody and instrumentation that convey just the right mixture of softness and intensity, and to top it all of, a gorgeous voice that conveys pain in a manner essentially unparalleled in modern country music. This is the type of song that I want to hear more of. Jamie Wilson is amazing and having this album in my hands, and subsequently in my stereo, will make this month an amazing one. You mentioned a name, though, a fellow by the name of Mike (Ethan) Messick, a man whose name should be known to all who follow this website and any of the artists reported on here. One of the best writers in Texas music and it’s a crime that he’s not better known. Everything Wilson does is gold. Great songwriting and otherworldly singing. The new album is fantastic. It’s worth seeking out her stuff from a band called The Gougers as well. This is great! Thanks for posting this. I’d never heard of her before. She is great! 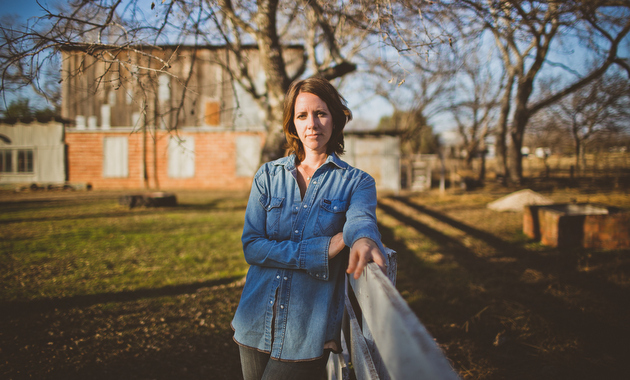 I discovered her a couple years ago from Call A Spade A Spade by Turnpike Troubadours. Her voice is amazing. I love her Dirty Blonde Hair EP. Excited for a full length album of new music from her.